On Saturday, we’ll be taking a tour of Painted Rock, a large U-shaped rock outcrop that was once a multicolored pictograph site created by the Chumash (a Native American people who inhabited the coastal regions of California). 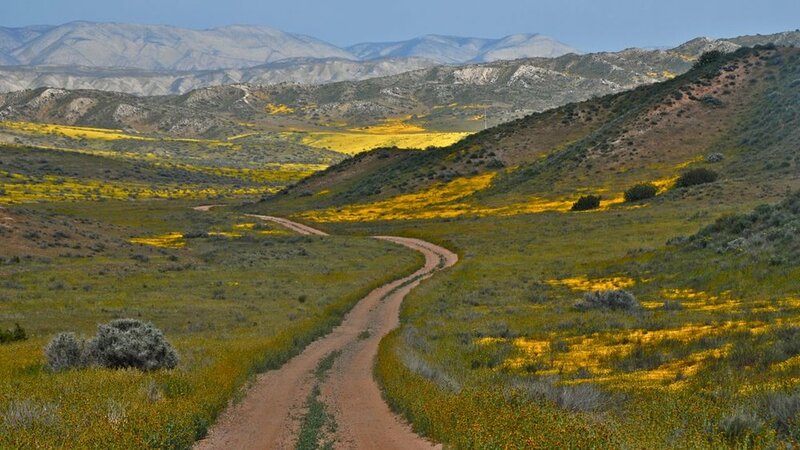 We’ll also be going on several short hikes around the plains to take in the viewz, the wildflowers, and to appreciate just how cool a dry lake bed can be. We’ll finish the day off with some chill car camping, and stop by McKittrick Brea Pit, a huge fossil site of prehistoric creatures, on the way back to LA Sunday morning. Price includes food & water & campsites & transportation! peaks can help with other gear if needed too! FUN FACT: Soda Lake is the largest remaining natural alkali wetland in southern California and the only closed basin within the coastal mountains. As its name suggests, Soda Lake concentrates salts as water evaporates, leaving white deposits of sulfates and carbonates that look like baking soda. Professor Sohm is a biological oceanographer and microbial ecologist, who LOVES nitrogen fixation. Her research mainly focuses on nutrient limitation of carbon and nitrogen fixation, the competition for limiting nutrients, and how these factors shape the ecology of phytoplankton species/communities. She teaches a Problems Without Passports class on Catalina Island, where students study water and soil sustainably. Ask her about the 10+ oceanographic cruises she’s conducted research on, or how she deals with being the coolest person ever. Jill’s family will also be joining us on this trip!